The Library of America series ushers in 2016 with a slate of familiar names alongside one notable newcomer. Henry James: Autobiographies is the sixteenth volume in the LOA edition of James’s collected works, its publication timed to coincide with the 100th anniversary of his death on February 28, 1916. Ross Macdonald and Virgil Thomson also return, and we conclude our Kurt Vonnegut edition with Novels 1987–1997, which collects three satirical novels from the twilight years of the American century. 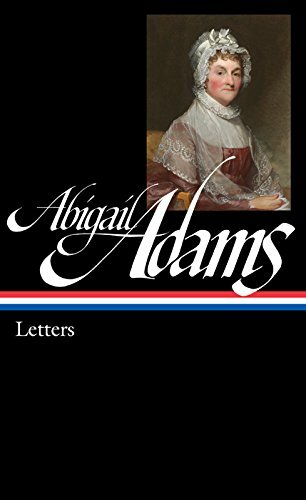 With Abigail Adams: Letters, America’s second First Lady becomes the first woman from the founding era to have a Library of America volume devoted entirely to her writings. That book will appear in tandem with the third and final collection of her husband John Adams’s writings. Two paperback reprints, Shakespeare in America: An Anthology from the Revolution to Now and Farber on Film: The Complete Film Writings of Manny Farber, round out our winter–spring list. Is Patriotic Gore on the horizon? Would the Library of America consider publishing Henry Miller's work? We hope (and plan) to publish more Edmund Wilson, as well as Henry Miller. Thus far, however, we have been unable to negotiate the rights for Wilson's "Patriotic Gore" or for Miller's fiction. I really do hope William Carlos Williams, Moore, Dickinson, Hemingway, Eliot, Pound, Pynchon, and Ellison will be made available within the next decade. Lewis Nordan is a tremendously talented Southern writer whom I'd love to see LOA collect. His novel Wolf Whistle and his short fiction are brilliant though he isn't as well known as he should be. Also, what about the work of Robert Penn Warren? We just announced the first volume of our John O'Hara edition today, in fact. See the the latest post.